Cards are my favorite thing to make but I have somehow neglected them lately. So, I am rectifying that today with a card pair made from the new July kit at My Creative Scrapbook. 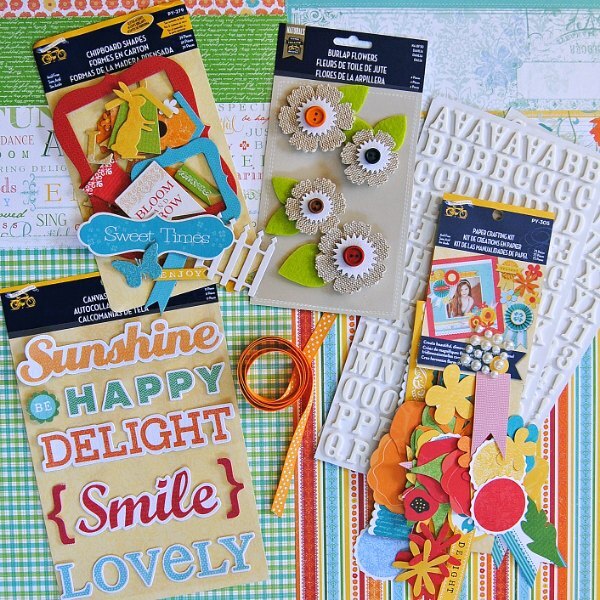 The Creative Kit features the Poppy collection from Little Yellow Bicycle. It's a pretty floral line with a fun pop of orange. For these cards, I used canvas stickers from Little Yellow Bicycle as my sentiments. The stickers, which were included in the kit, give a nice texture without added weight or bulk. For the first card, I used a stamp to add the word "sending." The stamp said: Sending love your way and I masked the rest of the sentiment so that the card said: Sending sunshine. For my second card, I used the canvas word Smile with brackets on either side. Below is a photo of the kit. 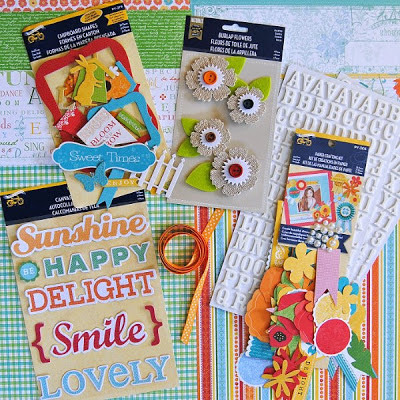 My Creative Scrapbook has several beautiful kits each month featuring all the best paper manufacturers. You can find the details here. Thanks for stopping by. I'll be back next week with layouts! A beautiful pair of cards, Izzy. These will definitely add a lift and a ray of sunshine to someone's day. 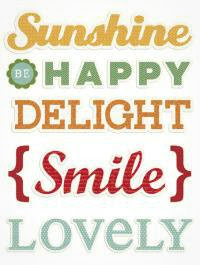 Your cards are bright, cheery and lovely! Well, these cards brought some 'sunshine' into my morning ...and made me 'smile' too :) Very pretty, Izzy! 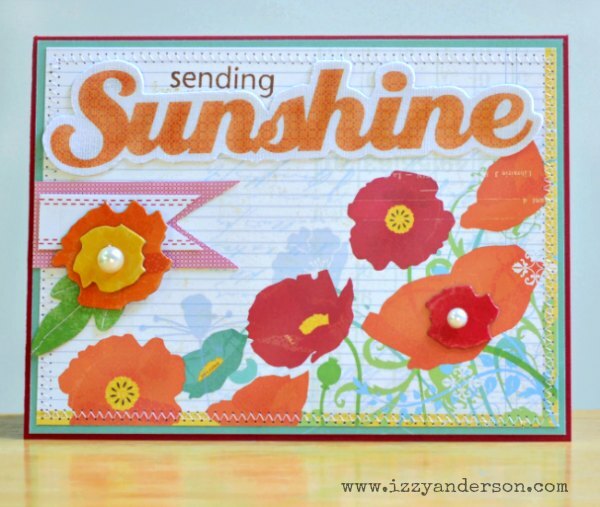 Oh so love these bright summer cards! Love these Izzy!! 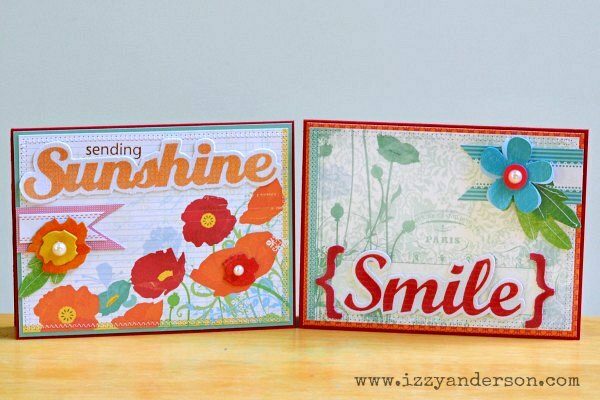 The Poppy line is so pretty, and I love how you used it on the cards! Beautiful summer cards!!! so bright and pretty!! These are beautiful! LOVING the colors!!!! Love these cards. Beautiful colors. Love your gorgeous cards as always!! Those canvas stickers are way cool!! 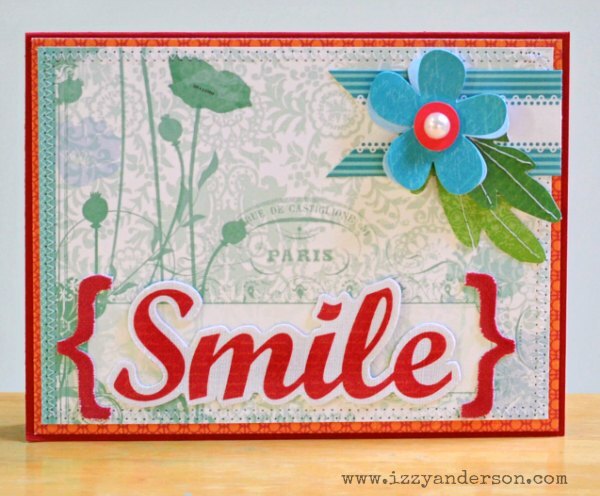 Beautiful cards Izzy....love these papers! Beautiful cards that anyone would love to receive!